If you have ever worked at a U.S. Navy facility such as a Shipyard or base like Camp Lejune, San Diego, Alameda Air Station, Lemoore Naval Air Rework Facility, Norfolk, Portsmouth, Mare Island, or Charleston NSY that has or has had a metal plating shop where chrome plating is done I am certain you have been poisoned and have been made liable to suffer the development of cancer, lung disease and other physical problems that both be immediate and will develop over time. One long term effect is cancers that will not develop for as long as 20 years after exposure to hexavalent chrome pollution. If you are one of these victims it is important for you to review this site to discover how the U.S. Navy has secretly and deliberately poisoned you and what they have done to deprive you of any possible benefits that you deserve under Federal Law. This is not an easy site and it is not a pleasant one. But it is full of official U.S. Navy documents telling the whole rotten tale and these documents are truthful. If you only read this far and do not go any deeper into this site you need to know one important truth. If you have been exposed to any amount of chrome plating pollution or hexavalent chrome from any other source (like welding or grinding stainless steel) you have been sensitized so that if you develop a cancer later in life due to any cause it will be very aggressive. The cancer will be rapid onset, rapid progression, and highly resistant to treatment. It will metastize and spread quickly. If you've been exposed there is nothing you can do except to make adequate preparations for the inevitable now while you have some time. It is very easy to see how this can happen through a little story. Suppose there is a factory that repairs parts for Navy ships located near to your home. This factory repairs parts that need to be plated with the metal chromium because chromium is the hardest metal there is and covering the part with chrome will prevent it from failing suddenly in the stress of battle and allow it to last a very long time. The process to put the chrome onto the metal releases a very fine mist of chrome chemicals that are very poisonous into the air. The factory has installed devices to capture most of the chrome mist and these can be seen on the roof of the factory but these are not operated because of the expense and difficulty. Over time this factory becomes specialized in the chrome plating process and produces just exactly the parts the Navy needs. As a consequence of this the Navy feeds more and more parts to this factory and over time the plating of these parts becomes the main business of the factory. The Navy could decide to spend the money and operate the air cleaning devices properly but this would cost too much money. It's just cheaper and far less work and trouble to poison everyone in the zone of influence of the plating shop. This works well because the victims don't notice until years later when it's impossible to prove what happened. Work proceeds and the chrome mist removers are never repaired or replaced. This is a true story at Mare Island. I am certain it is the story of every Navy base that has a metal plating shop on it. The plating of one metal onto another is not science it is an art that is passed down from worker to worker. The Navy depends upon its metal plating shops like a heroin addict depends upon his drug dealer. The Navy will not allow anything to stand in the way of the operational readiness of its ships and poisoning you is a key to accomplishing this goal. The Navy will gladly pay the price of your health and a later painful premature death for you rather than spend the money to do the job right. After all, what do you matter when compared to a ship? Compared to a ship you are nothing, absolutely nothing. The most difficult injury for a doctor to diagnose is chemical poisoning. Even when a person has been poisoned by an obvious poison purchased from a hardware store, and this happens often enough, the doctors typically only diagnose poisoning out of desperation if none of their treatments work. The simple fact is if you are poisoned with chrome plating chemical or other form of hexavalent chrome you are truly a victim out of luck. The Navy knows this and they know you don't know it. This is why it is perfectly safe for them to release chemicals that do great damage to their workers and nearby communities. The Navy knows you will never figure it out, your doctor will never figure it out, you will pay with your health and loss of life span, and they will not have to pay a thing. A famous TV Program character famously said, "It's not a lie if you believe it". The Navy has more than enough money to hire and train dishonest mouthpieces; people who have the ability to believe and then convincingly repeat into a microphone or before an audience any big lie necessary to keep its poisoning secret covered up. It's cheaper to do this than to pay for their crimes. The U.S. Navy is an incredibly vast industrial enterprise that spans this nation to maintain, build and equip its ships, planes and weapons. The Navy uses many powerful modern industrial processes that utilize the most poisonous chemicals on earth in very large quantities and it does so without much concern for the innocent people who are exposed to them except to give them lip service about safety and to get rid of them quickly if they become obviously sick. The industrial process with the greatest risk to employees and others is electroplating of metal. Behind this is the welding and grinding of stainless steel and chrome. These process release forms of highly toxic hexavalent chrome and other chemicals that are toxic to you in quantities so small you cannot feel, smell or taste them but these tiny amounts severely progressively and permanently damage your health. All chemicals released from U.S. Navy plating shops have the potential to immediately or over time rob you of your health permanently. These chemicals have no odor, no taste and cause no feeling in the body to warn you that you are being exposed to them in harmful amounts. Their effect is that over time you will have shortness of breath, less energy, will tire more easily, and if you become sick you will become very sick and may die. They also cause cancer and birth defects that are inheritable down through your family through generations. They aggravate cancers from other causes like asbestos and smoking. Exposure to these chemicals will significantly shorten your life in addition to making you permanently tired and miserable. One would suppose that the U.S. Navy, being a protector of our National Security, would take the time, money and effort to protect citizens from exposure to these chemicals but the fact is they do not. There are two reasons for this. The first is that metal plating involves the use of the most toxic chemicals that exist. It is very costly and difficult to control their release to levels that are safe all of the time. It is too costly for the Navy. The Navy has amply demonstrated this as shown in this web site. The second is ship scheduling. When a ship, plane or weapon system is expected back in the fleet from spending time in the shipyard or rework facility nothing is allowed to stand in its way. It must go out on time no matter what. Mere personnel safety is not going to be allowed to delay a ship returning to the fleet. The Navy is not about to establish a safety system surrounding its use of toxic chemicals and their release to the environment strong enough to delay a ship's schedule. The fact is Naval readiness is more important than your health. This means you must become educated and you must take matters into your own hands. This web site demonstrates how the U.S. Navy has no shortage of very well trained liars and perjurers who will lie under oath, create false paper, engage in the most complex cover up schemes, and invent ever newer and bigger lies without any limit to avoid having to admit the facts to the victims of their release of extraordinarily harmful chemicals into the air you breathe. The main subject of this web site is the release of toxic hexavalent chrome from the metal plating shop at the Mare Island Shipyard. This is typical of any U.S. Navy location where a metal plating shop is or was ever present. It is important to keep in mind that whenever a case of overexposure to toxic chrome has gotten to a court the result has been damages in the multiple millions of dollars. There is the famous case in California in the 1980's where an entire community was sprayed with this poison and were awarded over 300 million dollars to be paid by the power utility PG&E. Recently in 2012 there is a case where a group of 13 American contractors in Iraq who were exposed to it received an award of 85 million dollars. The Murderer U.S. Navy has not yet been sued, but it should be and it should have been sued a long time ago. It has murdered many uncounted thousands of people with premature and painful deaths resulting from its deliberate release of toxic chrome into the environment by its metal plating shops over the decades all over the United States. Evidence I've easily found on the Internet convinces me this is still taking place at U.S. Navy shipyards and maintenance facilities all over our nation today. The purpose of this web site is to use official U.S. Navy documents and documents from other authoritative sources to demonstrate and convince you that the U.S. Navy is deliberately covering up and hiding this terrible crime and that it has been doing this for a very long time. This Web site demonstrates this poisoning at Mare Island Naval Shipyard and the outlying community of Vallejo with massive amounts of the cancer causing and human genetic poison Chromic Acid for decades. It is also about the terrible poison Chromic Acid and how the extraordinary toxicity of this chemical and its threat to the genetic heritage of mankind is only now becoming fully understood. 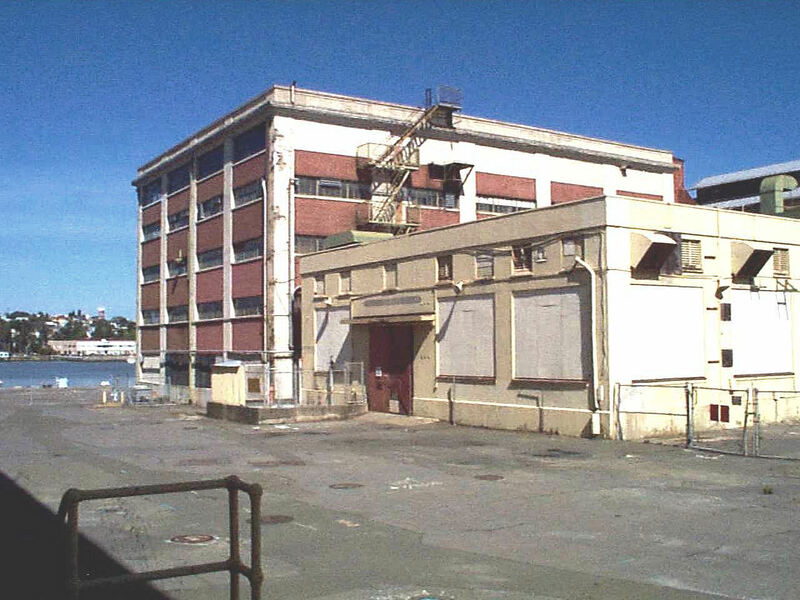 There are many pictures and many official U.S. Navy documents on The Mare Island Murder Page. It may take some time to load. This Web site applies to anyone who has worked at or lived nearby any other U.S. Government operation site or base containing a metal plating facility such as Army, Marine, Air Force, Department of Energy, Atomic Energy, or other organizations. While most of the official documents provided in this site are applicable only to Mare Island and Puget Sound, these demonstrate it is highly likely the Mare Island and Puget Sound Poisoning Situation is a good example of the typical situation existing at a very great many other government sites elsewhere throughout the United States and at locations throughout the world. Thank You For Coming Here to Find Out What Has Been Done To You or Someone You Know or Love. Please note there are no cookies or other information collecting software of any kind associated with this site. Your visit is completely private and unrecorded.